Samba Futsal Academy has partnerships with a range of colleges and football clubs in Wellington, and offers customised programmes to improve players' skills and ability in futsal and football. If you are interested in joining one of the programmes below, or if you would like to partner with Samba Futsal Academy, please contact us for more information. Samba Futsal Academy has partnered with Olé Football Academy to provide a programme that bring together Wellington's best in futsal and football. Sessions are open to players born in 2008-2011 and are held on Mondays at the Bishop Viard Indoor Facility. For more details and to register for these sessions, visit the Olé Football Academy website. Samba Futsal Academy and Wellington United AFC continue their partnership providing a successful futsal programme for Wellington United players. Sessions are held on Mondays and Wednesdays at the ASB Centre in Kilbirnie. 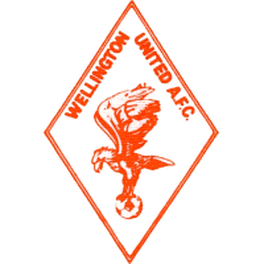 Fore more information on this programme, visit Wellington United AFC's website.